In Alabama, Greek families in Alabama have been changing the way we eat for 100 years. Tasos Touloupis of Birmingham, Alabama, remembers an old Greek expression, “philoxenia,” which means “friends to strangers.” It’s an attitude the Greeks share with Southerners. Maybe that’s why, for the last 100 years, Greek immigrant families in Alabama have been changing the way we eat. The line was at least 150 people deep. It was only April 29, but summer had come on early, pushing temps up into the 90s and bringing humidity down like a Kool-Aid-soaked blanket, wet and sticky. Old ladies pinched balled up tissues from their purses to dab the beads of sweat from under their eyes. A little boy pulled his T-shirt over his face to wipe away streams of perspiration running down his plump cheeks (a swelter self-induced by chasing his brother in circles until his huffing caused his mama to tell him to “stand still and breathe”). This serpentine stretch of folks was barely crawling along Dexter Avenue in downtown Montgomery, Alabama, but despite the intense heat and the long wait, most in the crowd were smiling. 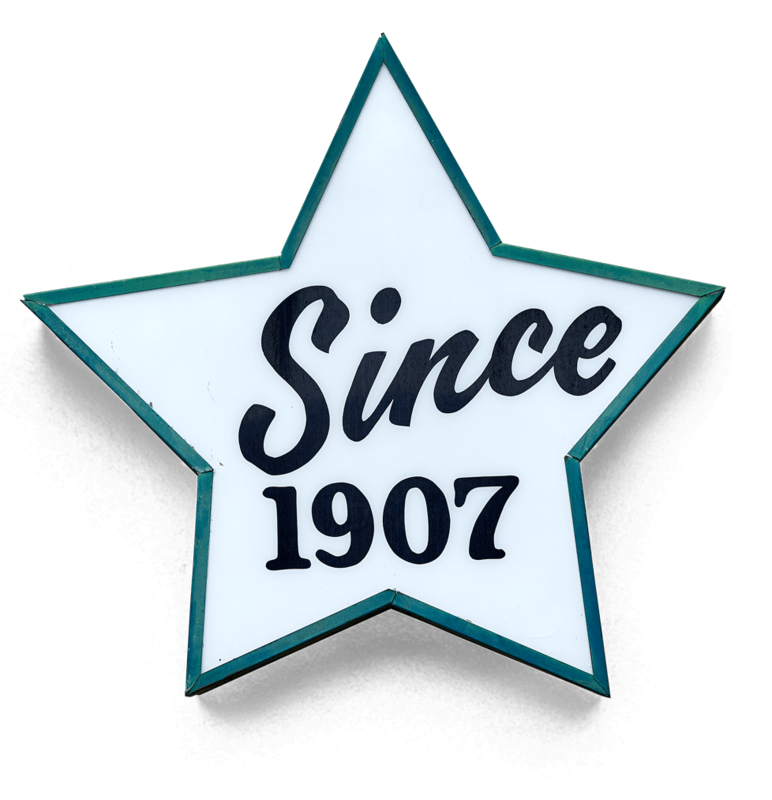 It was a party, after all, a celebration of 100 years (in the same spot) for Chris’ Hot Dogs, the capital city eating institution that a Greek immigrant founded on May 1, 1917. They’d come for a dog (or three) — as heavy with history as with onions, kraut, and sauce — and were happy to stick around for it. Christopher Anastasios Katechis left Greece in 1916, entered the United States via Ellis Island, and headed south, to Montgomery, where an uncle had already settled. He took over the uncle’s fruit stand, and added an offering — hot dogs, like the ones he’d enjoyed at Coney Island when he first arrived in New York. But Chris Katechis added a runny, spicy, tangy chili sauce to his dogs that started bringing folks to his little lean-to, built up against a corner building, in droves. They didn’t want peaches or pears; they wanted hot dogs, Chris’ hot dogs, and they’ve wanted them — and come from near and far to get them — for a century since. Chris’ son, Theo, and Theo’s son, Costas (called Gus), run things today. In 100 years of business, there have been challenges and lean times, but simply surviving for that long equals success. Judging from how Chris’ stays packed (particularly at lunchtime) — every day but Sunday, when it’s closed — it’s thriving. On a recent morning at Chris’, Gus stands behind the lunch counter’s faded Formica top, its starburst pattern worn almost to blank white. He keeps stopping mid-thought to greet regulars and, prompted by yelled warnings of “hot sauce behind ya!,” move out of his cook’s way. But he finally summed up his feelings. His grandfather Chris’ story is not unusual. Millions of immigrants have come here, worked hard, and created better lives for themselves and their loved ones. But look deeper, and you see evidence of a phenomenon that took root 100 years ago: A significant percentage of Greek immigrants in the early 20th century went into the food industry. You see the evidence clearly in Alabama. Montgomery has Chris’, The Pub, and Mr. Gus’ Ristorante, and once had the Elite Café and the Riviera, too. One of the highest concentrations was and still is in Birmingham, just an hour or so north of Montgomery. Greek-owned restaurants once ruled the restaurant scene in Alabama’s largest city, and quite a few are still around. The Fish Market, Sam’s Super Sandwiches, Pappas’ Grill, Yanni’s, Gus’ Hot Dogs, and more are Greek-owned. The sprawling chain Zoës Kitchen was founded in Birmingham. The smoked-meat-and-homey-Southern-sides juggernaut, Jim ’n Nicks BBQ (now with close to 40 locations across the country), was started by father-and-son team Jim and Nick Pihakis in Birmingham and is still owned by Nick. Maybe it will do the exact same thing it did in Alabama: Add yet another layer to our way of life — and the way we eat — and make the country even more American. Folks often use the phrase “It’s all Greek to me” to signify that whatever “it” is, it is completely incomprehensible to them. But after conversations with the proprietors and chefs of a few of the Greek-owned restaurants in Alabama, it’s not difficult to figure out why there are so many Greeks behind this state’s restaurants. I met with a handful to get their take on why their forefathers started in the restaurant business in the state and why so many have stayed. At the beginning of the 20th century, Greece was in turmoil. Its economy was struggling, much of its populace lived in poverty, and political unrest had left the country weak. Young Greek men began to lose faith in their country and emigrated to the United States in large numbers. Between 1880 and 1920, more than 400,000 Greeks came to America in search of opportunity. They left their homeland, but they brought their culture with them, and their shared traits and traditions would end up serving them well in their new homes — and in the restaurant industry, from which many Greek immigrants carved out their new lives. They created a South-meets-Mediterranean food philosophy that was born out of their desire to assimilate, but also to honor their heritage by imbuing what they presented their customers with pieces of their home culture — from distinct flavors to high levels of hospitality. This dual fidelity — an experience common to immigrant groups from all over the world — made America what it is. In Alabama, it certainly made a lasting mark. Many of the Greek immigrants who came to America in the first half of the 20th century came here young, as teenagers even, with little to no education. That, coupled with the fact that they didn’t speak English, narrowed their employment options. But if you were motivated, you didn’t need the language or much book learning to cook food and serve it or bus a table. And if you did happen to speak some English (or pick it up quickly) and had even a little money in your pocket, getting a cart to sell produce or a cheap food like hot dogs was a possibility. Necessity played a part in Greeks first entering the food business. “My dad left Greece at 14, in 1966 with a sixth-grade education, and the only job he could get was working in a restaurant,” says Chef Andreas Anastassakis at The Bright Star in Bessemer (15 miles outside of Birmingham), Alabama’s oldest continually operating restaurant, opened in 1907. Andreas’s second cousins, Jimmy and Nicky Koikos, are the current owners of The Bright Star. Their father Bill Koikos left Greece for Alabama in 1923, and in 1925, bought The Bright Star from its original owner, his great uncle Tom Bonduris. Today, the neon glow of its star-shaped sign beckons hungry visitors inside to steak and seafood specialties (like snapper throats) served in a series of dining rooms, evidence of expansions through the years. Seated at a round table in a dimly lit space, Jimmy and Andreas take turns walking me through the decades. Andreas’ dad actually settled in Canada, but the rest of his family was in Alabama, including his second cousins Jimmy and Nicky, who, seven years ago, brought Andreas down South to keep things at The Bright Star in the family. But these immigrants didn’t stay in their entry-level positions. Another common thread is woven through the stories of those I spoke with: an enterprising work ethic that pushed their grandfathers, fathers, and uncles up through the ranks, often all the way up to owner. And they believe this drive and devotion has kept many Greek-owned spots open for 50, 60, even 100-plus years. John Krontiras won’t take no for an answer when you’re in his restaurant, Nabeel’s. John’s assertive yet affable welcome personifies a trait most often attributed to Southerners, hospitality, but one obviously shared by Alabama’s Greek restaurateurs. According to him, hospitality is ingrained in their homeland’s culture, too. John came to the United States from Patras, Greece, in 1963 to continue his education. He had zero intention of owning a restaurant. He moved to Birmingham in 1970, working as a computer programmer, and he and his Italian immigrant wife frequented Nabeel’s, then a Lebanese-owned market, to find familiar products, like specific brands of olive oil and feta, from their Mediterranean homes. When the owner was looking to sell, he approached John’s wife. “It was a little impulsive, but we bought it, and we added the restaurant,” John says. Nabeel’s menu is a mix of Greek and Italian dishes, two of which (both Greek-influenced) earned spots on the state Tourism Department’s “100 Alabama Dishes to Eat Before You Die” list, a real point of pride for John. Beyond the inclination toward hospitality these Greek immigrants shared with their new neighbors in Alabama, another common bond was — and remains — like-minded attitudes about food and its roles. “I think there is a similar mentality between Southern culture and Greek culture in our friendly personalities, our emphasis on family, our passion for and love for what we do, whatever it is — but cooking in particular, and the importance we place on food. Greeks love to make people happy through food,” Tim says. Strong family bonds are especially evident in the blood ties behind Birmingham’s Greek restaurants from yesterday and today. They’ve grown and married together to form a solid, sprawling family tree, its many branches representing the names of restaurateurs who dominated the food scene in the Magic City from the 1930s through the 1970s. In the early 2000s, the Southern Foodways Alliance did a series of oral histories that chronicle these connections. A hallmark of many Greek-owned restaurants that opened in the early part of the 20th century was (and is) the absence of a Greek-centric menu. Some didn’t and don't have a single dish. 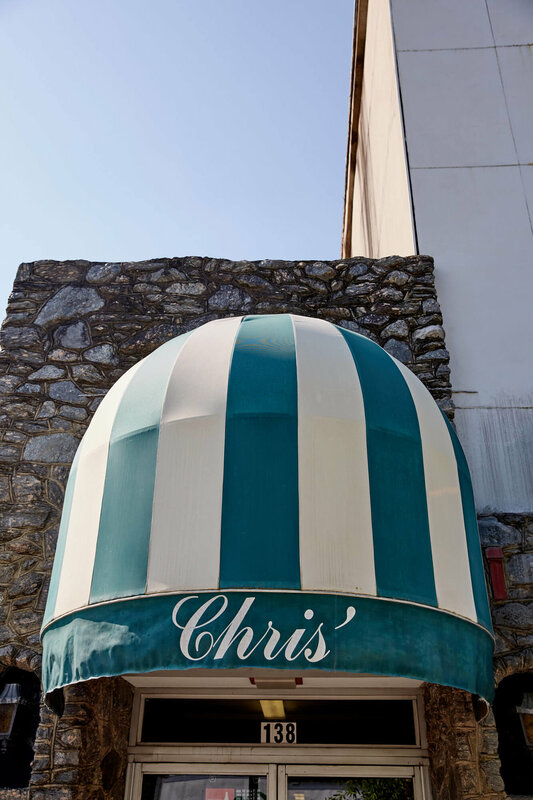 At Chris’ Hot Dogs, there’s no Greek food and no noticeable Greek influence. At others, like Niki’s West, you can get Greek chicken, Greek fish, and some Southern veggies like okra done Greek style. Ted’s has several Greek items available, like pastitsio, souvlaki, and Beba’s baklava, alongside Southern comfort-food standards like fried green tomatoes and squash casserole. The Bright Star’s signature dishes are its Greek-style snapper and Greek-style beef tenderloin. But they are not exclusively “Greek” restaurants. Some never wanted to be. Others either already knew or learned quickly that they couldn’t be “Greek” restaurants and attract diners. To stay in business, they had to give the customers what they wanted, and in the early 1900s, those customers didn’t want Greek food. “When the Greeks first came, they probably tried to offer more Greek food, but they had to change and adapt to fit the market, which was smart,” Beba says. But they didn’t let Greek food’s bold, vibrant flavors disappear altogether. The first wave of Greek restaurateurs faced barriers in the South that went beyond unadventurous palates. Many Greeks, like other immigrants, faced fear and hatred. Chris’ Hot Dogs sits on a corner of one of our country’s most historic streets. It’s hosted scores of famous faces, including Zelda and F. Scott Fitzgerald and Hank Williams, who’d scribble song lyrics on paper napkins and sober up after shows in a back booth. But its green-and-white-striped awning was a silent witness to more meaningful events, too. A few blocks down, Rosa Parks boarded a Montgomery city bus in 1955 and sparked the fire of the Civil Rights Movement. Ten years later, a few blocks in the opposite direction, in 1965, the final Selma-to-Montgomery march culminated with the Rev. Dr. Martin Luther King Jr.’s speech from in front of the state capitol. King and Parks were regulars at Chris’, a fact that drew the ire of the area’s active Ku Klux Klansmen. Chris served blacks from the front door, a clear violation of Klan edicts. When white patrons questioned Chris, he brushed it off. “They’d say, ‘Do you cater to blacks?’ And he’d always reply, ‘No. I cater to green. I don't see any other color.’ If you could pay, you could buy hot dog here,” Gus says. But Chris took the Klan’s escalating threats more seriously. They hated that he’d serve blacks, and they didn't like him anyway, since he was an immigrant. Jimmy’s dad at The Bright Star faced discrimination, too. Food’s ability to close divides and overcome issues, even those as thorny and deep-seated as bigotry, is well documented. It’s one thing every human on the globe has in common: We all eat. And when the food is tasty, it can make the bridge building easier. That’s one reason he opened his meat-and-three, Johnny’s. The role of simple, Southern meat-and-three restaurants in reconciliations of all types is no mystery. They’re places where construction workers and congressmen and everyone in between stand shoulder to shoulder and look with equal longing at the day’s choices, okra, mac and cheese, and yellow squares of cornbread. But Johnny’s is distinct from the meat-and-threes that cover our region. It’s more accurately described by Tim’s frequent hashtag #greeknthree. He remembered what he’d seen at his grandfather’s restaurant. And he is. His chef’s sensibility and devotion to sourcing the best local ingredients are elevating both cuisines to delicious effect and taking them high enough to garner the attention of the James Beard Foundation. Tim was a semi-finalist for Best Chef –South for 2016, a feat made all the more impressive when you consider that Beard nominees in this category usually cook in the kitchens of fine-dining establishments. “I think the Greek aspect of what I’m doing is maybe part of what caught the judges’ eyes,” he says. Old legends like The Bright Star and Chris’ Hot Dogs and relative newcomers like Nabeel’s have young folks in the family at the helm, ensuring they’ll go on for at least the foreseeable future. But what will unfold in the next chapter for places like Niki’s West is a little less certain. And a lot of parents don’t want to see their kids work as hard as they did, although Pete is not one of them; he prides himself on being old-school, an olive that has not fallen far from the tree. When Tasos and Beba bought it, Ted’s escaped the fate that Niki’s may be facing. Ted’s daughter didn’t want to take over her parents’ restaurant. “She watched them work so hard here,” Beba says. “She wanted another career.” But it too could be up for grabs in the next few decades, when Tasos and Beba get ready to retire. Tasos doesn’t want his kids in the restaurant business. Unlike their grandfathers or even their fathers, Gus, Tim and Andreas had a world of options open to them. Still, they chose to enter the restaurant business. 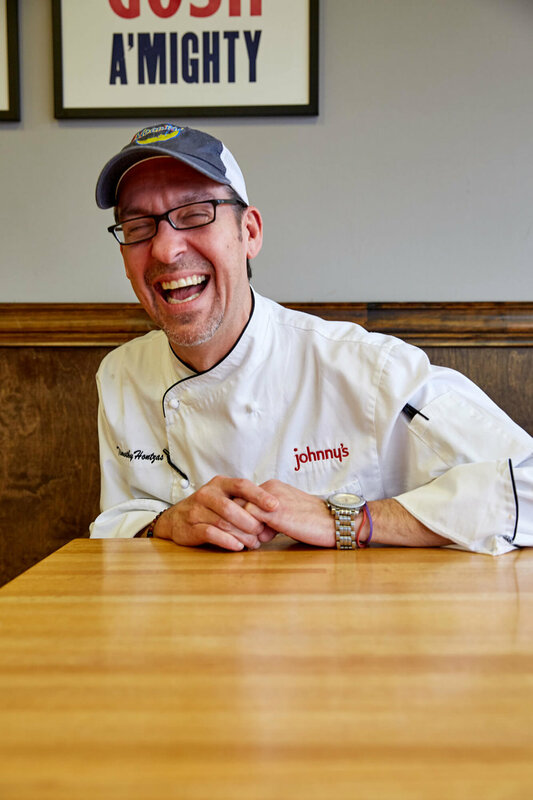 Tim is using Johnny’s as a platform to show people how good Greek food can be when it’s made with fresh, high-quality ingredients, married with some Southern concepts and tweaked just a bit by a trained chef’s thoughtfulness. Immersed and then cooked in a lemon broth (instead of being dry-roasted), his baked Greek chicken is a moist, scrumptious example. So is his 28-ingredient meatloaf. “It’s mostly the love put into it though. That’s how Southern food and Greek food are alike,” Tim says. Gus has aunts and uncles who left Chris’ Hot Dogs behind. One is a dermatologist, one a scientist working with NASA. He has two younger brothers who don’t work at Chris’, and he actually went a different direction initially, working as a fisheries biologist for five years before coming back home to help his dad run the restaurant. He was unhappy in his job and realized that his dad needed help, and he was the one to do it. In its century of existence, Chris’ Hot Dogs has made and sold millions of hot dogs. In 2016, it took its largest order ever — 2,600 hot dogs to be delivered to the port of Mobile, Alabama, for the commissioning of the USS Montgomery, a combat vessel. Along with the dogs, Gus sent a framed photo of Chris’ to the Navy. It now decorates a wall inside the Montgomery.